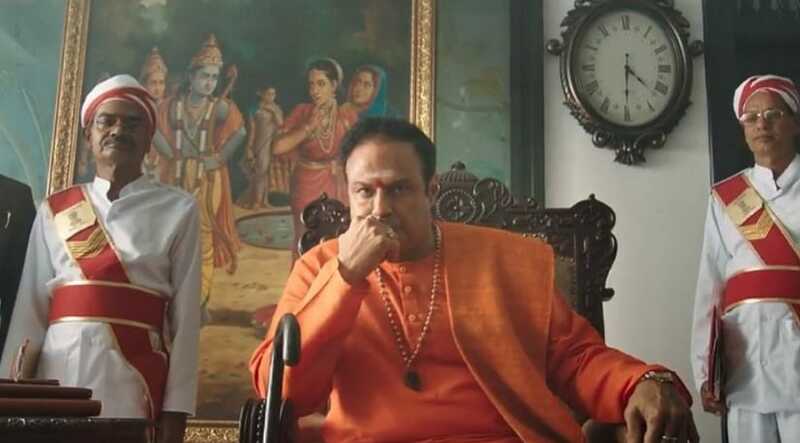 The NTR biopic, which features actor Nandamuri Balakrishna in the titular role of his late father and former chief minister of Andhra Pradesh, Nandamuri Taraka Rama Rao, was launched with much fanfare on 29 March. Vice president M Venkaiah Naidu presided over the highly anticipated event that took place at Ramakrishna Studios in Hyderabad. The who’s who of the Telugu filmdom came together for the grand audio and trailer launch of the project, which will be released in two parts as NTR Kathanayakudu and NTR Mahanayakudu. Balakrishna went on to say that they had not originally planned to make the film in two parts. “It was very recently that we decided we will release it in two parts. Honestly, two parts are not enough to do justice to NTR’s life. You can’t fit the larger than life of Nandamuri Taraka Rama Rao in two parts. There’s so much about his life that people deserve to know and we can go on shooting, but there has to be an end,” he said, adding that the film will serve as an inspiration to the future generations. He also clarified that the biopic has not been made for the sake of minting money. “It’s been my long-time desire to produce a film on my own. I believe I was destined to produce NTR biopic through which we aim to make the current and future generations embrace Telugu culture. The entire Nandamuri family was in attendance at the event. Actor Jr NTR said he could see his grandfather (NTR) through his uncle (Balakrishna). The film features a galaxy of stars. While Rana Daggubati will be seen playing the role of Andhra Pradesh chief minister N Chandrababu Naidu, Sumanth Akkineni will be seen as his late grandfather Akkineni Nageswara Rao. Rakul Preet, Shriya Saran, Shalini Pandey and Prakash Raj also play key roles. NTR biopic marks the Telugu debut of Vidya Balan, who essays the role of NTR’s wife Basavatarakam. Krish chose to keep his speech very short. He said he will talk more about the films post release. While NTR Kathanayakudu is gearing up for a 9 January release, NTR Mahanayakudu will hit the screens on 1 February, 2019.